The perfect first step in your management career. 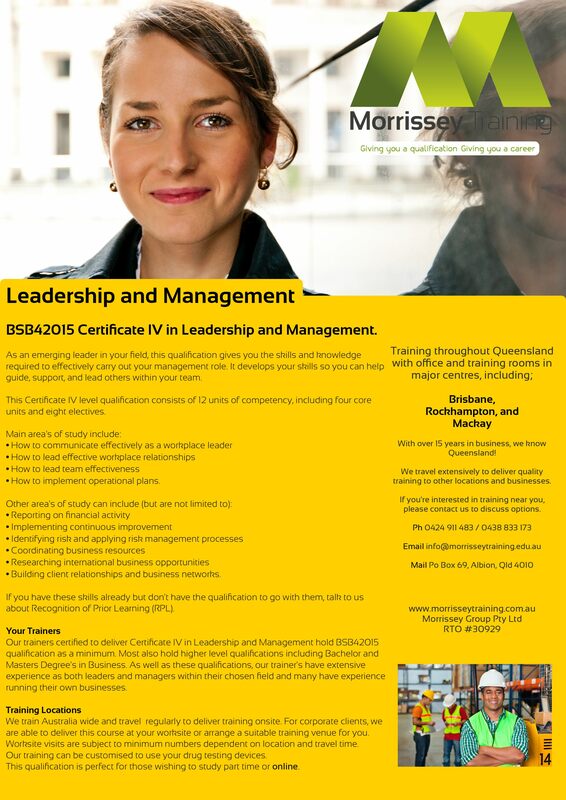 If you are looking for that next promotion or would like quality training to back up your current knowledge and skills, Certificate IV in Leadership and Management is the Management course for you. Flexible delivery options are available, you can train online or via distance. If you are an employer with multiple students, contact us for a customised quote as we can come to you! Already have these skills? Talk to us about Recognition of Prior Learning (RPL) to fast track your qualification today! Become a better, more professional you.